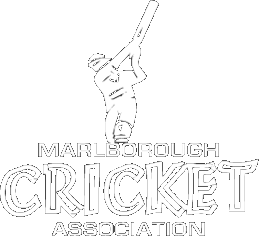 The Marlborough Cricket Association (MCA) is responsible for fostering and administering the sport of cricket throughout the province of Marlborough. Among its duties are to arrange for and conduct visits to Marlborough of cricket teams from outside the province and of teams from the province to other parts of New Zealand either representing the province of Marlborough or clubs affiliated thereto and to provide and administer all competitions for affiliated clubs. The officers of the Association consist of a Patron and a President. The affairs of the Association are governed by a Board of up to 7 directors. The Board Chair is elected by the board each year following the Annual General Meeting in July. MCA employ a full time General Manager who takes charge of the day to day administration of association matters and the management of other MCA staff including a development officer and summer coaches. The MCA Umpires association is responsible for organisation and recruitment of umpires and scorers. Other sub committees may be convened for a specific purpose from time to time. These committees meet as required and may include, for example, a grounds committee, disciplinary committee and a competitions committee. There are 6 cricket clubs affiliated to MCA namely Celtic, Picton, Renwick, Wairau, Wairau Valley and United Country & Vineyard Cricket. Each club enters teams in the various adult and junior competitions run by MCA. MCA also organise senior and junior representative sides to compete against other districts and at major association tournaments. These sides are; Primary School rep, U15 rep, U17 rep, Emerging Players rep and Senior Rep.